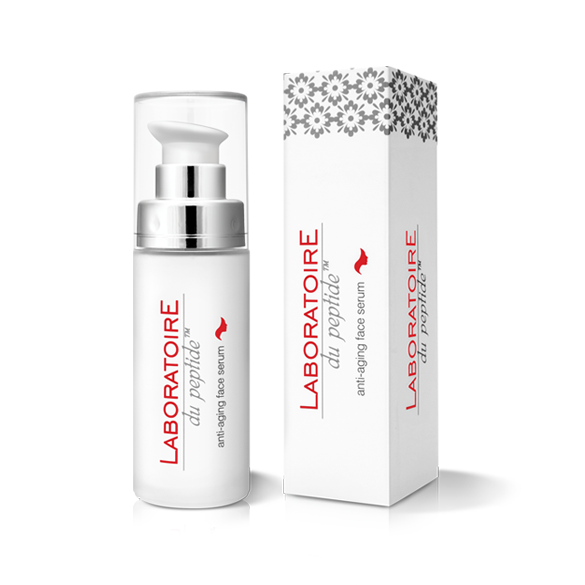 Laboratoire du peptide™ anti-aging face serum – strong active serum containing „botox-like” unique peptide of new generation, which allows to achieve a similar effect to botulin toxin injections, however – non-invasive. Effectively reduces the intensity of facial muscle tension, thanks to which the mimic wrinkles become visibly shallower. Moreover, the serum contains a whitening peptide which reduces hyperpigmentation and makes the skin tone look even. It refines the skin texture, smoothes and illuminates the complexion. Additionally, hyaluronic acid, natural avocado oil and vitamin E moisturize, regenerate and nourish the skin.gns of aging. “Botox-like” peptides – a unique anti-wrinkle peptides. Inhibit the neuromuscular junction to relax the muscles, effectively reducing “crow’s feet” wrinkles around eyes and mimic wrinkles, both shallow and deep. They allow wrinkle prevention and give a “botox-like” effect in non-invasive way. 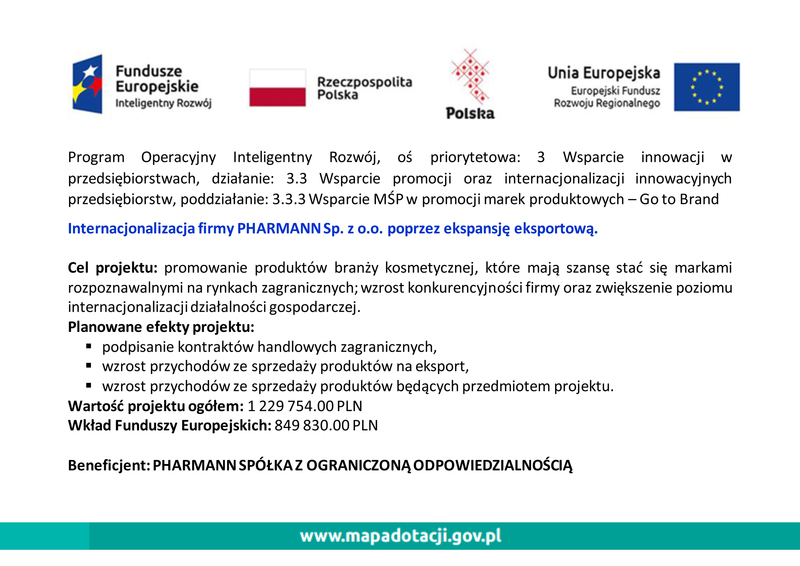 Whitening peptides – reduce melanin synthesis by inhibiting melanogenesis (prevent the activation of tyrosinase enzyme responsible for proper melanin synthesis). Discolorations and age spots are reduced. 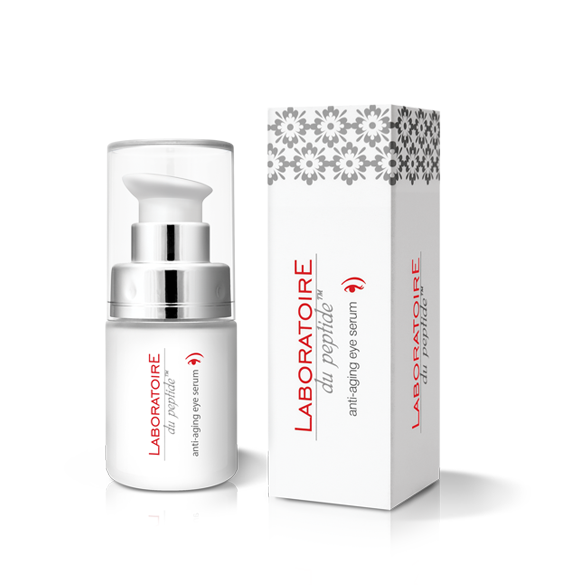 Signal peptides – initiate the growth of fibroblasts, which are responsible for the production of elastin and collagen in the skin. Thanks to the regulation of fibrillogenesis, they stimulate the synthesis of collagen (types I, III, IV), protect collagen from its degradation and improve skin firmness and elasticity. Hyaluronic acid – prevents transepidermal water loss, improves hydration of the skin, protects collagen from damage. Improves skin texture. Vitamin E – a powerful antioxidant. Protects skin collagen fibres from damage. Improves skin tension and reduces visible wrinkles. Sweet almond oil, avocado oil – nourish and regenerate the skin. 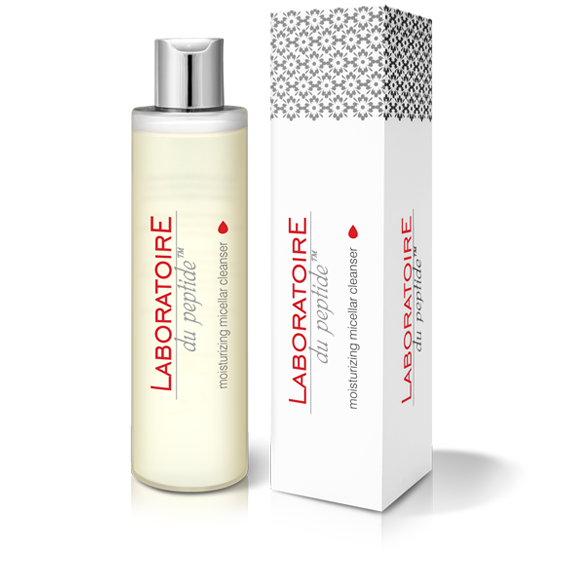 Apply Laboratoire du peptide™ anti-aging face serum 1-2 times a day into the skin of the face, neck and decollete. Avoid the eye area.